We find stocked with high-quality wine, including Mixed Wine, Champagne, and Sparkling Wine. The gift sets we pick include wine from California Wine Country, International Wine Country, and Champagne. A bottle of Dom Perignon is always a welcome gift, this one has accessories and chocolate, too! Why this gift: The California Wine Club is one of our favorite wine subscription companies. We recommend a mix of red and white wine to help them discover the joys of California wine from small family wineries. Get more details about this wine club in our Premier Series review. Announce your gift with the elegant Gift+ option for an additional $18." Why this gift: Vinley Market is one of our favorite wine clubs, and we especially love the sommelier-selected bargains in their Adventurer's wine club. This one-time gift of two wines in each shipment is sure to impress any adventurous wine drinker, whether a new explorer or an experienced enthusiast. For 10 years we've been reviewing wine of the month clubs. If you'd like to learn more about this wine club gift, please read our full Vinley Market Adventurer's Box review. Why this gift: The Gold Medal Wine Club is one of our favorite wine subscription companies. These international wine shipments are themed and each box contains three wines from a different artisanal wine producer overseas. Get more details about this wine club gift in our International Series review." Why this gift: Vinley Market is one of our favorite wine clubs, and we especially love the sommelier-selected bargains in their Adventurer's wine club. This one-time gift of three wines in each shipment is sure to impress any adventurous wine drinker, whether a new explorer or an experienced enthusiast. Why this gift: The California Wine Club is one of our favorite wine subscription companies. We recommend this wine club gift for anyone ready to get to know what's happening in small family wineries outside the US. Get more details about this wine club in our International Series review. Announce your gift with the elegant Gift+ option for an additional $18." Why this gift: The California Wine Club is one of our favorite wine subscription companies. We recommend this wine club gift for anyone ready to get to know the wine from Oregon and Washington state. Get more details about this wine club in our Pacific Northwest Series review. Announce your gift with the elegant Gift+ option for an additional $18." Why this gift: When it comes to wine samplers, this one stands out because it includes on each of the major wine styles. It makes a great way to introduce a younger person to wine, or to send cheer to someone who loves all kinds of wine and always wants the perfect wine on hand for any meal. "With Finke’s, we’re looking to define a new style of quality California sparkling wine that perfectly reflects the state's sun-kissed fruit. This blend of Chenin Blanc and Chardonnay was made by picking each varietal early in the season and using the Charmat Method to produce the lively bubbles, brightness, and freshness. Bottled just six months after the harvest and ready to drink right away, this blend showcases a fresh and youthful wine with a crisp, dry expression on the palate from the Chardonnay and notes of apple, pineapple, and floral aromas thanks to the Chenin Blanc. Finke’s has the celebratory feel of French champagne, without the special occasion pricing. Make every day a celebration with this delightful wine." Information provided by Winc. "Diviner is a glimpse into the unique terroir of Santa Ynez Valley - a region that is diverse in terrain and microclimates and a producer of wines that stand up to the best of their kind. This single-varietal Cabernet Sauvignon is from Happy Canyon and was fermented in a closed stainless steel tank prior to 14 months aging in 35% new French oak. Pumpovers during fermentation aided tannin development without over extraction. Rich but not opulent, this red is generous and balanced." Information provided by Winc. Why this gift: The California Wine Club is one of our favorite wine subscription companies. We recommend this wine club gift for serious California wine lovers. These aren't famous cult wines, but they represent the "reserve"" level wines found at some of California's best small family wineries. Get more details about this wine club in our Signature Series review. Announce your gift with the elegant Gift+ option for an additional $18." Why this gift: If we didn't trust Gold Medal Wine Club, we wouldn't suggest sending this six-pack of tiny-production craft wine form California, mostly because we can't guarantee which specific wines will be in the box. But we DO trust Gold Medal Wine Club to pack a lot of value into their wine sets, so you can confidently give this gift of boutique California wine. Expect an array of styles and grapes. Why this gift: A special gift set of this beloved 2007 Perrier-Jouët Belle Epoque Champagne and two hand-painted flutes that match. For someone who loves fine Champagne, art nouveau, or both, this would be an exquisite gift. "The prestige cuvée Belle Epoque is a generous vintage unveiling magnolia and honeysuckle flavors enveloped in pear and peach notes, enhanced by a hint of mineral sparkle. Hervé Deschamps' Belle Epoque Brut brings out the freshness and elegance of the Chardonnays (50%) from the grands crus of Cramant and Avize. From the Montagne de Reims, the Pinots Noirs (45%) display a generosity and delicate complexity that prolong the Chardonnays’ finesse. Finally, the rounded charm of the Pinots Meuniers (5%) from Dizy provides the finishing touch to this beautifully balanced cuvée." Information provided by ReserveBar. Why this gift: If we didn't trust Gold Medal Wine Club, we wouldn't suggest sending this six-pack of craft Sonoma Valley wine, mostly because we can't guarantee which specific wines will be in the box. 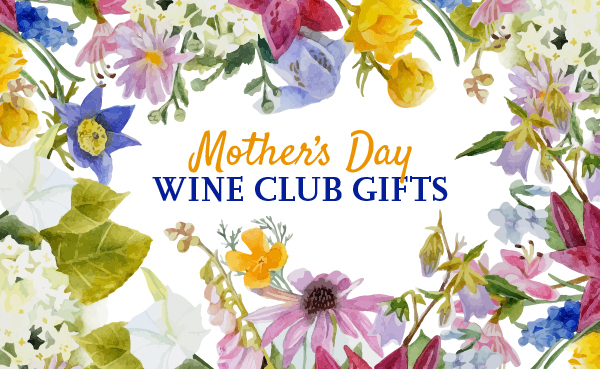 But we DO trust Gold Medal Wine Club to pack a lot of value into their wine sets, so you can confidently give this gift of Sonoma Valley wine. Expect an array of styles and grapes. Why this gift: This gift of Dom Perignon, always well-receive by any giftee, comes with friends — an elegant chiller bucket and a pair fine gourmet creme caramels in a lovely gift box. How to make an awesome gift even classier.